Sandor Katz wrote about his love for Koji in his new book, The Art of Fermentation. "Before I started growing koji, I would have never believed it possible to fall in love with a mold. 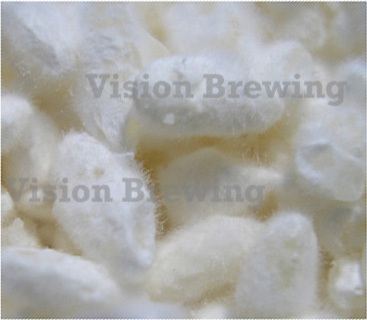 But I have been seduced by fresh koji's sweet fragrance..."
My first experience was more like the description in Vision Brewing's instructions, "a strong smell, not unpleasant", it was like a cheese smell not bad but nothing like a sweet fragrance. That changed today. 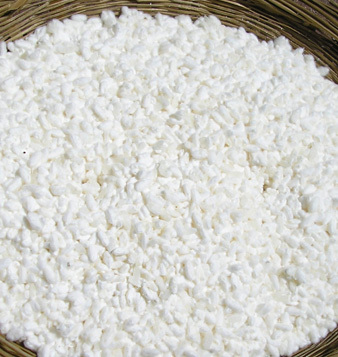 The smell of the developing Kome Koji is sweet and flowerful. The kind of smell where you want to take another deep whiff. After a while while watching the news, the memories of that smell was actually drawing me back for more. It is at that point I recalled the the words "fall in love with a mold". Indeed it is a fresh sweet fragrance.